Yes I believe that the text covers all of the subjects/ topics that are listed in the index. Chapter 4 on Functions of problem behaviour- while I do think that it does a good job talking about functionally equivalent alternate behaviours and covering some information related to functional assessments I do think it is missing critical information. It is imperative that information related to the reliability and vadility of the FBAs is discussed so that individuals know that there are significant limitations to the FBAs and risks involved with creating treatment plans based on them. I also think that is is important to comment or direct people to the Behavior Analyst Certification Board so that individuals can find out what the criteria (who can do them) for each assessment etc. I also think it would be important to mention that Functional Analysis is the goal standard in determining what the function of problem behaviour is. There were a few links throughout that didnt work. The information appears accurate based on my understanding. Yes the content is to date. I think all of the information that is related to accessibility is useful, however prone to becoming outdated quickly. That being said i think updating the screen shots etc with newer versions (and perhaps android versions) would be relatively easy. The information in the book is easy to understand. I think that it is a good introductory book for that reason- it is easy to understand and covers a wide variety of content. Yes I thought that it is consistent throughout. Based on the sections that the text is broken into, I believe that it would be easy to assign readings to a class. Each chapter is focused and not too long, therefore lends itself well to assigning readings. As I previously mentioned, each section is a confined and succinct topic. Given that I think that the order presented in the text is in a logical order. The only recommendation I could see is putting the communication and accessibility sections together . I think that individuals with communication difficulties may need to have modifications or need accessible devices- so perhaps these could be together. But it is not necessary! 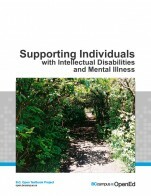 Yes I think that the text is on inclusion so it is sensitive to individuals with disabilities. It doesn't specifically cover the other topics, however it is not insensitive or offensive to them. This text is very comprehensive, as it draws from a wide author (and thus knowledge) base. It begins with defining the term dual diagnosis which is important, as this term is not included in the title of the book (although it could have been). I like the way there is a summary included in each chapter highlighting the key points. 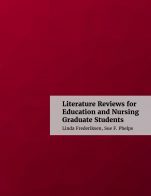 The authors reference current academic sources as well as relevant suggestions for best practice ('Key Points for Caregivers'). 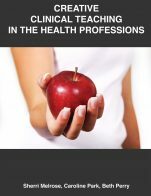 In this way, the book may be used by instructors and students (within helping professional diploma and degree programs) as a textbook, or by practitioners and volunteers in the field. The terminology was embedded in each chapter rather than an external glossary, I think the method of defining the terms in each chapter is best, as they are situated in context for readers. 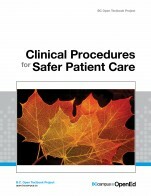 There could have been a chapter on the use of traditional treatment plans (ie. pharmaceutical intervention) compared to, or in addition to, emerging alternative treatments for people with dual diagnosis. For example, I did not see any reference to sensory regulation as an approach to alleviating anxiety, helping to calm, or balancing one's nervous system. Although there is a small amount of evidence-based research, there are numerous articles and books written about sensory regulation methods as a recommended treatment for those with developmental disabilities, as well as mental illness. The sensory approach is often used in collaboration with other interventions. Additionally, with the legalization of cannabis coming very soon to Canada (October 17, 2108) there will be many treatment options (beyond the pharmaceutical approach) for helping persons living with dual diagnoses. Cannabidiol (CBD), the non-THC, non-hallucinogenic part of the cannabis plant. Already, a number of people living with dual Diagnoses are benefitting from the CBD options available to them, for seizure management, reduction of depression, anxiety, pain, and the treatment of insomnia and post traumatic stress disorder (Welty, Luebke, & Gidal, 2014; Iffland & Grotenhermen, 2017). Page 5: Historical Context: UN Convention of the Rights of Persons with Disabilities (CRPD) (2006) was a very significant event for all persons with disabilities. It was pivotal in changing the trajectory of inclusion all over the world. It should be mentioned in my opinion. Fabulous discussion on demise of MR and explaining difference between handicap and disability. well done! Choosing the right name and person first language -well done! Page 15 and 16 NO mention of Emotional Quotient (E.Q) or Emotional Intelligence (E.I.). Although IQ places individuals on a scale of cognitive development, EQ is considered equally as important as IQ in terms of human development. For example, the ability to feel empathy or to identify one's emotions when they are feeling them, and communicate well with others, are examples of how emotional intelligence can contribute to maturity and well-being. I would have liked to see something about EQ in this chapter. In language to avoid section, could add the word, ableism. Page 70 I think picture symbols are ok for some individuals fir trying to identify feelings, however, for those with more severe developmental delay, real photos are easier to interpret. Somewhere in Chapter 5 could be the comment that "behaviour is communication" and being a keen observer of behaviour as a care giver and recording patterns over time will assist in identifying levels of pain. I did point out a few very specific points in last section that will make it more up to date/relevant. I would suggest editor(s) bring in authors who can add more contemporary approaches to care for people with DD. The authors could reference some innovative, emerging treatments that reflect the need for alternate interventions, to expand the health care model to include options in addition to (not instead of) the pharmaceutical approach. In order for the text to have longevity, I think adding additional approaches to treatment is essential. The medical model of treating mental illness and Developmental disability is changing, and people caring for loved ones with DD are seeking more options for treatment. Families and loved ones of people living with DD want more choice in how they can help care those with DD. 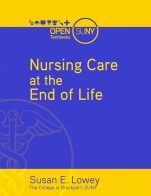 THis demand for more options will spill over into the caregiving role -for whom the book is targeted. The book is well-organized, text is easy to read and not too academic. The sub-sections are the same for each chapter so the reader knows what to expect. The jargon/terminology is very well defined in a way that a 'lay' person can understand. Chapter 2 purpose of naming and demise of MR --well done and very informative. Chapter 3 Focused on diagnoses/labels and symptoms and characteristics. This chapter has the feel of diagnostic and medical. Would have liked to hear of cases where individuals are feeling better and some of the successful treatments for those living with mental illness. Chapter 4 Section on seizure types -well done! First person language section is fabulous. Classification section: approach taken is one of recognizing strengths, not deficits, great! Mistreatment section well done -very relevant. Chapter 5 includes numerous batteries of how t o assess pain. Chapter 4 and 6 both deal with pain in individuals with DD. I am curious about the fact that 2 chapters out of 7 in the book focus on pain. I understand if the target audience is caregivers, they need to know how to assess pain in their clients, yet I think maybe one chapter on this would suffice. Chapter 7 Sexuality -happy to see this included in book, as it is a very important topic. This chapter is excellent and the aspects of sexuality chosen to discuss are extremely relevant. Circle of friendship activity (Table 7.1) very useful for defining boundaries, differentiation between challenging and offensive behaviours very well done. I would have liked to see more hands on activities like the one provided in this chapter (table 7.1) in other chapters. It would have been very helpful to have these for caregivers to use with their clients. Consistency and flow is very high in this text. Framework from chapter to chapter is the same, except in Chapter 7 I see a hands on activity for caregivers to use wit their clients. This is not seen anywhere else in the text. wonder why this kind of exercise is only provided in one of the chapters. It breaks the consistency. The text is absolutely easily and readily divisible into smaller reading sections that can be assigned at different points within a course. this is what makes the text attractive -is that part of it can be selectively chosen to use in a course, without being connected to the rest of the book. The text is not offensive in anyway. In the sexuality chapter (#7), there is no reference to sexual orientation such as LGBTQ identity, which should be included, people living with DD are not excluded from these rights. 1) The book is written from a medical model point of view. It approaches dual diagnosis from a diagnostic perspective (DSM5, categories of symptoms, and behaviour patterns). 2) The longevity of the book concerns me, as current disability advocates are seeking to define disability differently than the traditional medical. The perspective is changing and self-advocates and advocates for social change and social justice are redefining disability language attached to disability. "Neuro-diversity" is the most current theory of disability and is noteworthy. It views every person as a person with a different brain or neuro make up. Disability may no longer be defined by labels or categories (from DSMs), as the disability enables the continuation of the "ableism conflict" (abled people are better than disabled people). The emerging theory or school of thought is to replace all psychiatric labels with the term neuro-diversity. This change in lens or perspective of 'difference' is creating systemic change in the way health professionals and scholars view and respond to disability. As the text is positioned in a more traditional approach to disability, I have a concern that it will be outdated fairly quickly. It lacks a holistic approach and the content is not as responsive to what the self-advocates wish from their caregivers.